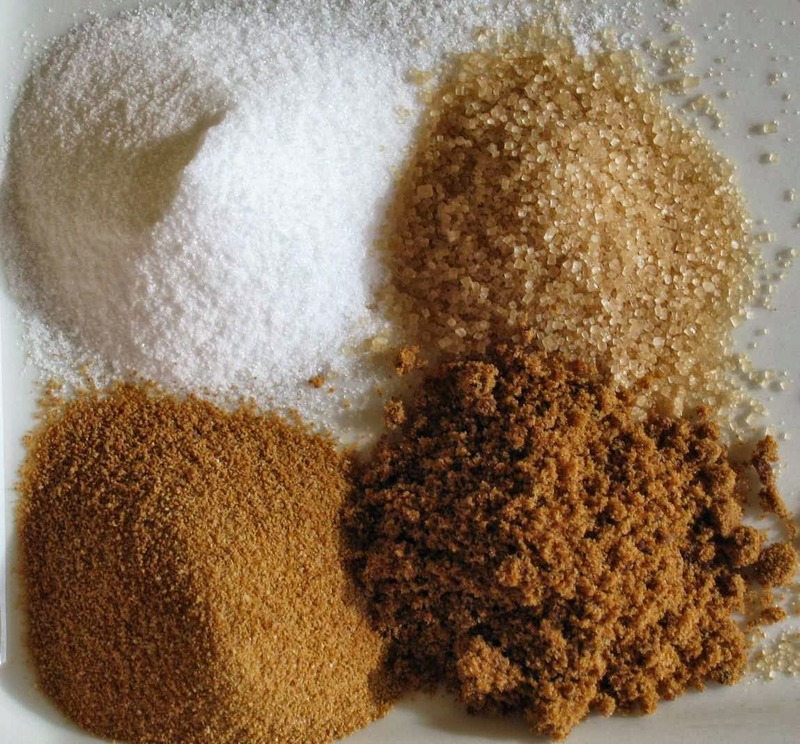 Sugar, and its cousins, performs many important roles in baking. All refined sugars (granulated white sugar, confectioner’s/icing sugar, brown or golden yellow sugar, and “raw” sugars such as Demerara and turbinado), are equal when it comes to their nutritional value. While in the past brown and raw sugars were considered more “natural” than refined white sugar, now they are made *from* white sugar and simply have a portion of molasses added back in. Refined sugar is 99 percent pure sucrose, a simple carbohydrate. Refined sugar helps cookies spread during baking, which allows their crisp texture. Because of these critical functions, bakers can’t simply replace all the sugar in a recipe with a different sweetener. However, in many recipes, you can decrease the amount of sugar by up to one third without affecting the quality of the product. Be careful with your sugar: too much can cause a dark crust (one of several possible causes), and too little can cause too light a crust or a tough texture. But, sometimes you may want to substitute using granulated sugar for another sweetener. Maybe you’ve run out, maybe there was a great sale on honey and now you need to find a way to use it, and maybe you simply want to try something new. While not all sweeteners are identical enough to substitute 1:1 (although there are some), don’t fret; below are some alternate choices, and how to substitute them into your baking recipes. And, as always, a fun and super-easy recipe at the end for you to try! 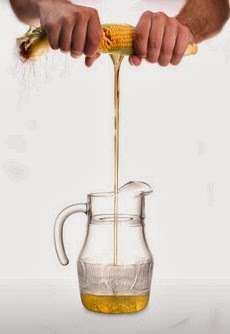 When substituting a liquid sweetener (such as honey, maple syrup, etc.) for a granulated sweetener (i.e. 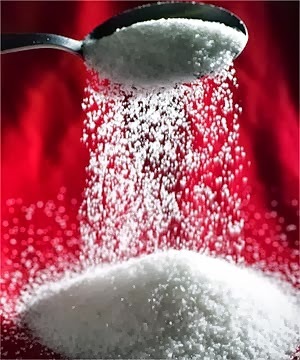 sugar), for every 1 cup granulated to be replaced by a liquid sweetener, subtract 1/4 cup of liquid (water, milk, etc.) from the recipe to re-balance the moisture content. The converse being, when substituting a granulated for a liquid sweetener, for every 1 cup of sweetener, add 1/4 cup of liquid from the recipe. Other sugars, such as honey, taste sweeter on the tongue than granulated sugar; in fact, honey is 25%-50% sweeter than refined sugar. You can therefore use less honey to sweeten a batch of muffins than you would sugar. 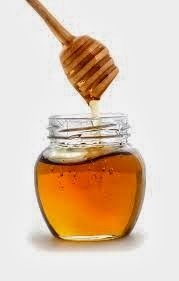 The flavors and colors of honey can vary depending upon the bees’ diet — buckwheat honey, for example, is darker and stronger than clover honey — and consequently will impart a subtle flavour to your finished product. Baked goods made with honey are moist and dense, and tend to brown faster than those made with granulated sugar, so if baking with honey, reduce the oven temperature by 25 degrees Fahrenheit. Use ¾ cup plus 1 tablespoon honey in place of 1 cup sugar (maximum), and reduce the other liquid ingredients by 2 tablespoons. Honey is slightly acidic, so if the recipe includes sour cream or buttermilk, add 1/4 tsp of baking soda to neutralize the acidity. Maple syrup tastes less sweet than sugar, but its unique flavor is prized in baked goods and desserts. Canada produces 85% of the world’s maple syrup supplies, and 90% of that production is located in Quebec. 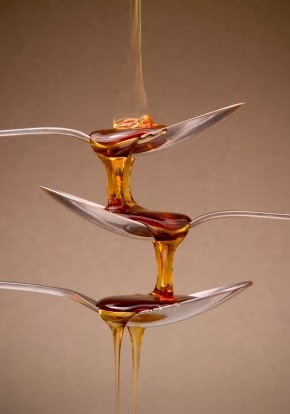 Maple syrup can be used in most cases as a direct 1:1 recipe substitute for liquid sweeteners with the same density (i.e. 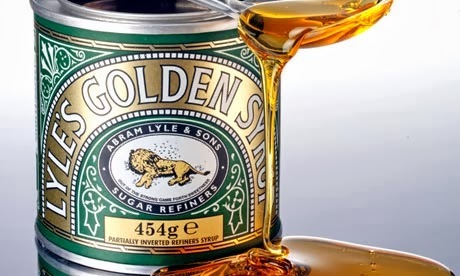 golden syrup, glucose, corn syrup, honey, etc.). If using barley malt syrup or other sugar replacement syrups, do some recipe testing first, or find a recipe that has already accounted for its unique tastes and properties. If baking using maple syrup, reduce the oven temperature by 25 degrees Fahrenheit, since maple syrup will tend to caramelize and burn faster than granulated sweeteners. Use ¾ cup plus 1 tablespoon maple syrup in place of 1 cup sugar (maximum), and reduce the other liquid ingredients by 2 tablespoons. Buttermilk is slightly acidic, so if the recipe includes sour cream or buttermilk, add 1/4 tsp of baking soda to neutralize the acidity. Molasses is a byproduct of refined sugar production. It contains small amounts of B vitamins, calcium, and iron. 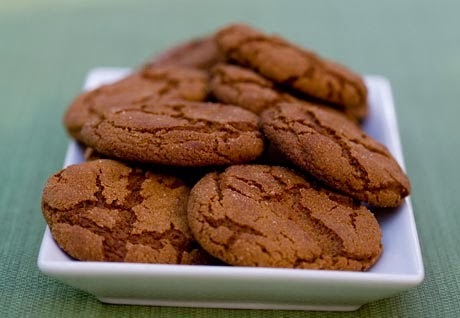 Molasses imparts a dark color and strong flavor to baked foods, but is not as sweet as sugar; replace no more than half the sugar called for in a recipe with molasses. The quality of molasses depends on the maturity of the sugar cane, the amount of sugar extracted, and the method of extraction. There are three major types of molasses sold in North America: unsulphured, sulphured, and blaskstrap molasses. Some minor types are known as fancy and cooking molasses. Unsulphured molasses is the finest quality. It is made from the juice of sun-ripened sugar cane, and that juice is clarified and concentrated. Molasses from the first boiling is the finest grade because only a small amount of sugar has been removed. Sulphured molasses is made from green sugar cane that has not matured long enough and is treated with sulphur fumes during the sugar extracting process. The second boil molasses takes on a darker color, is less sweet and has a more pronounced flavor. Blackstrap molasses is from the third boil and is very dark; it imparts a slightly bitter, robust flavour. Blackstrap molasses only has a commercial value in the manufacture of animal feed and other industrial uses. However, some manufacturers have come up with a product in mixing Fancy and Blackstrap molasses together to create what is called Cooking molasses. If you enjoy the deep, bitter taste of blackstrap molasses in your baking, this is probably the one for you. Excellent for ginger snaps! 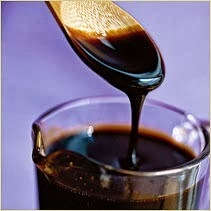 Use 1 1/3 cups molasses for 1 cup sugar, and reduce the amount of liquid in the recipe by 5 tablespoons. Molasses is also more acidic than sugar; add ½ teaspoon baking soda for each cup of molasses used. Corn syrup is known as an “invert sugar;” it is useful in cooking and candy-making because, unlike other sugars, it does not crystallize. Corn syrup is less sweet than sugar, and does not add flavor like molasses or honey. Use ¾ cup plus 1 tablespoon corn syrup/golden syrup in place of 1 cup sugar (maximum), and reduce the other liquid ingredients by 2 tablespoons. These are the most delicious molasses cookies I have ever made, and the recipe is from the cookbook author and fellow Canadian whom I respect the most, Edna Staebler. I’ve read all of her fun, chatty little cookbooks documenting the trials and tribulations of creating and curating thousands of recipes from her Mennonite neighbours and friends in Southern Ontario and beyond. Reading her cookbooks like novels, I firmly believe that her writing is what started me on the path to becoming a professional baker. In any case, here’s the recipe for Edna Staebler’s famous Molasses Cookies. These are absolutely delicious, but be sure to make them with unsulphured or fancy molasses; you don’t want them bitter. I’ve also made these with apple butter (also called apple molasses) and had a near metaphysical experience with how good they were! Check the link for a reminder on how to make your own apple butter. Preheat oven to 350 DegreesF. Mix in the order given. Roll into balls (about 1 tsp in size) and roll in dish of granulated sugar. Place on buttered (or parchment paper-lined) cookie sheets and bake for 10 to 12 minutes (rotate pans once in oven). Let rest on pans for five minutes to firm up, then transfer to cooling rack to cool completely. When cool, place in crock or cookie jar, cover it with a cloth until the cookies are soft and chewy, then cover tightly. *Note: You may have noticed that I have notmade a value statement on the “goodness” or “badness” of corn syrup in your baked goods. This is so for two reasons: First, I’m a professional baker, and though I try to avoid it when I can, I do occasionally use corn syrup in some of my recipes when necessary, so to lambaste an ingredient or product when I myself use it seems hypocritical. Second, a political rant about how corn syrup and the food manufacturing industry is ruining our health, simply is not within the purview of this particular blog entry. If you are truly interested in learning more about our food sources from an industrial food manufacturing perspective, and for more information on corn syrup, high fructose corn syrup and its place in our modern diets, I recommend this and this article for short, thoughtful, well-reasoned discussion on HFCS, and if you’re looking for a polemic, a link to two excellent books by Michael Pollan for a blow-the-doors-down expose of what we put into our bodies and the psychology of why we do so. Previous Post Contests: It’s That Time Again!